The Editing Room Takes On …World War Z: The Abridged Script! Er, don’t forget that this movie is, itself, ALSO single-mindedly bent on achieving worldwide saturation. The ZOMBIE HORDE arrives!! LIMBS and SEVERED HEADS and BLOOD and ENTRAILS fly in all directions as There is lots of censor-friendly SCREAMING and RUNNING AROUND in a SUITABLE FOR MASS MARKET fashion! I see your point. Well, an undead plague sanitized for international consumption is still an undead plague, I guess. Let’s go!! They corral an RV and make a GETAWAY, but one of the DAUGHTERS turns out to have been BITTEN, forcing BRAD to make an unthinkable choice while raising the emotional stakes to intense heights of has an ASTHMA ATTACK! They park outside a PHARMACY. This script explains why we’re maybe not going to even bother renting the movie when it comes out… and also, we laughed our asses off. Click on the big red link below to read it! 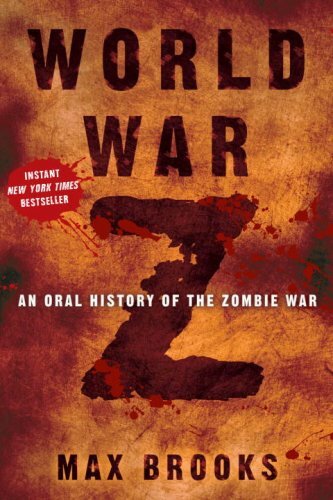 World War Z: The Abridged Script • The Editing Room. Warning: Movie bears no resemblance to the (far superior) novel. Great book, though!